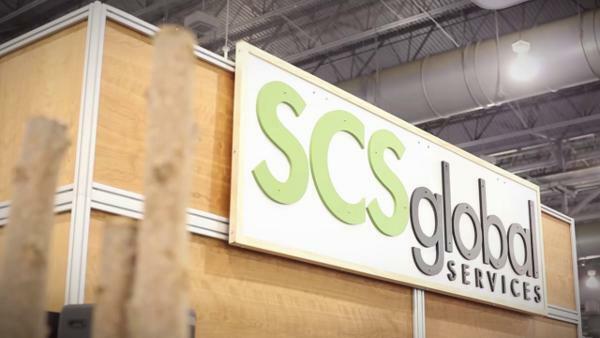 The next installment of our “5 Questions” series introduces us to SCS Global Services. I was introduced to SCS a few months ago by a mutual customer. After a quick conversation with the SCS folks, I realized that they offered a great service with some innovative principles for recycling and sustainability. Lawrence Nussbaum at SCS was kind enough to sit in the hot seat and answer…5 questions! 1) What is the core mission of SCS? SCS Global Services’ mission is to establish and implement programs that recognize the outstanding achievements of companies, institutions, and organizations that meet the highest levels of performance in environmental protection, social responsibility, product safety, and quality. We stimulate continuous improvement on the path toward sustainability through a number of third party certification programs and independent verification of environmental claims dealing with certified recycled content, indoor air quality, Life Cycle Assessment, responsible sourcing, and a host of other issues. 2) How does environmental certification help companies? Environmental certification helps companies evaluate how they measure up to state of the art sustainability standards, provides an opportunity to make continual improvements, and, most importantly, offers a vehicle for validating and communicating their achievements in the marketplace. It allows companies to demonstrate advancement in their industry, opens access to new market opportunities, improves processes and efficiencies, maintains and strengthens supplier relations, and services their customers evolving needs. 3) What is one thing most companies don’t know about environmental accounting? The trend in sustainability accounting is toward the use of comprehensive Life Cycle Assessment (LCA) to evaluate the environmental impacts associated with all the stages of a product’s life, from raw material extraction, through processing, manufacture, distribution, use, repair/maintenance, to end of life (disposal or recycling). LCA can help a company compile a thorough inventory of inputs and outputs, such as energy, materials, and waste, and use that information to evaluate potential impacts and make informed decisions. LCA based marketing tools such as Environmental Product Declarations (EPDs) or Environmentally Preferable Product (EPP) claims can help communicate the results of LCA work to better inform customers about the environmental impacts of a particular product. Many companies don’t have the expertise in-house to conduct LCAs and rely on outside companies, such as SCS Global Services, to conduct these analyses; all companies can benefit from independently validated LCA results. 4) What are the top 3 things most companies can do to better meet environmental certifications? 1. Conduct self-evaluations: Companies should conduct internal audits to assess where they are on the path to sustainability related to relevant industry standards. This allows improvements to be made in advance of and in preparation for certification. By the time the certification auditor arrives on site, a company should have a general sense of their strengths and weaknesses related to the specific certification program. Score cards for suppliers, customized software packages, internal review procedures, and review of relevant records are some of the tools a company can use to accomplish this. 2. Designate the right team: Establishing a Senior Sustainability Manager or Director and creating a task force or work team across divisions will help make sure that the certification is being implemented throughout the company, the right information is being collected from and disseminated to the appropriate staff, the appropriate expertise is secured to assist in the process, and implementation is being managed and tracked. 3. Track information: Environmental and sustainability metrics should be consistently tracked and available. This includes things such as supplier information, energy use, waste streams, transportation, and other relevant indicators. 5) Tell us a success story about a company using environmental certification to improve their business. Packaging 2.0 Inc., located in Jamestown, RI, manufactures thermoformed plastic packaging made from post-consumer recycled materials. The company engaged SCS Global Services in 2013 to obtain ‘Recycled Content’ certification, verifying their claim of 100% post-consumer recycled PETE content. As a result of the company’s dedication, they were able to secure a supply contract with Whole Foods Market to provide their 100% recycled PETE deli containers, branded as ‘number1package™,’ to 50 Whole Foods location, assisting Whole Foods with their goal of using environmentally responsible packaging.